VannoVa is an alliance of leading chrysanthemum growers. By working together on production, marketing and promotion, VannoVa’s master growers have acquired a prominent international position. The master growers’ collective years of experience have made VannoVa an inviting, global partner for the production and supply of chrysanthemums in the high quality segment. VannoVa chrysanthemums are sold around the globe, with Eastern Europe as the most important trading area. This is hardly surprising given that we’ve been doing business with this region for years and they always expect top quality. Over the years, constant quality improvements and custom-made products that meet our clients’ wishes, have kept our chrysanthemum varieties at the very top of the sector. New shapes, new colours and unprecedented uses. 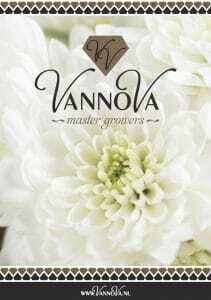 VannoVa supplies the best chrysanthemum varieties in the world. We supply spray and disbudded chrysanthemums. A quick view of our products. If you are looking for inspiration or an impression of our range, see our selection of colourful photographs of our flowers. Our products are available through the Floramondo platform. The platform contains more information about placing orders and deliveries. Take a look at the brand new VannoVa brochure!